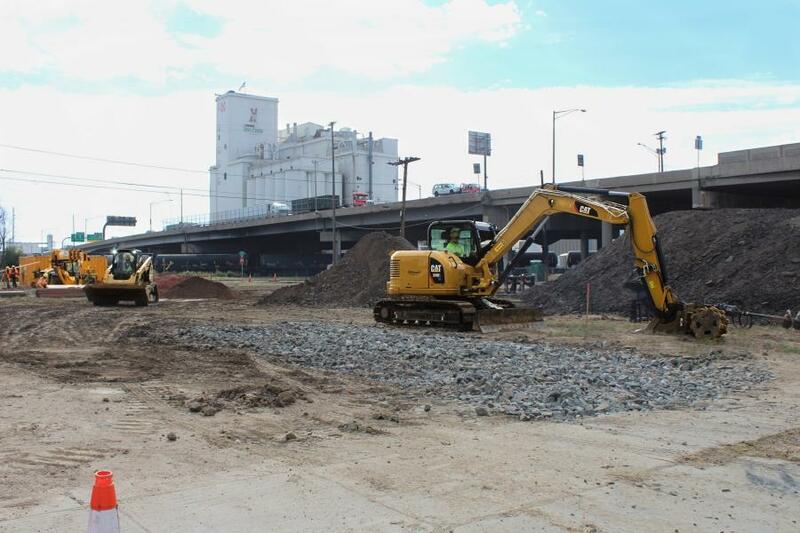 In an effort to bring an aging highway into the 21st century, construction teams in Denver, Colo., are reconstructing a 10-mi. stretch of I-70 between Brighton Boulevard and Chambers Road, as well as adding one new express lane in each direction and removing an old viaduct. The Colorado Department of Transportation (CDOT) is overseeing the $1.2 billion project, which will lower the interstate between Brighton and Colorado boulevards and place a park over a portion of the lowered interstate. "The I-70 viaduct is at the end of its useful life, and needs to be replaced," said Stacia Sellers, Central 70 communications manager. "In addition to that, this section of I-70 was not designed to support 200,000 vehicles per day, which creates safety, access and congestion issues. In order to support a growing population and provide mobility options, the Central 70 project needed to happen sooner, rather than later." Colorado is the eighth fastest growing state in the United States, with a population of more than 5.6 million as of 2017. I-70 between I-25 and Chambers Road continues to experience excessive traffic, creating congestion on I-70 for up to 10 hours a day. This section of I-70 also is home to 1,200 businesses, providing the regional connection to Denver International Airport. In addition, I-70's aging viaduct is the state's second largest bridge, and is the last of 33 worst bridges in Colorado yet to be addressed. 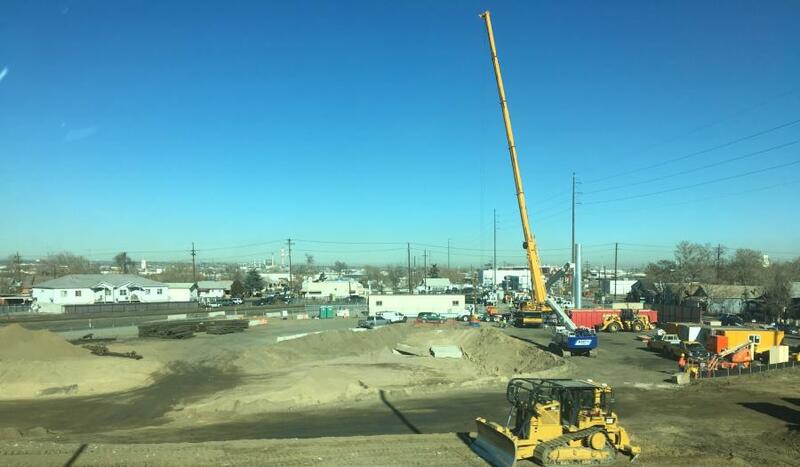 "Our team has been working on making the Central 70 Project come to life since 2003, when CDOT and Denver's Regional Transportation District began a joint study effort called the I-70 East Corridor Environmental Impact Statement," said Sellers. "We've held hundreds of public meetings, both formally and informally since then, to decide which alternative to select that would benefit both commuters and the communities surrounding the project area. It's been beyond rewarding to see all of our hard work come to life with a project that will have a positive effect on the state." 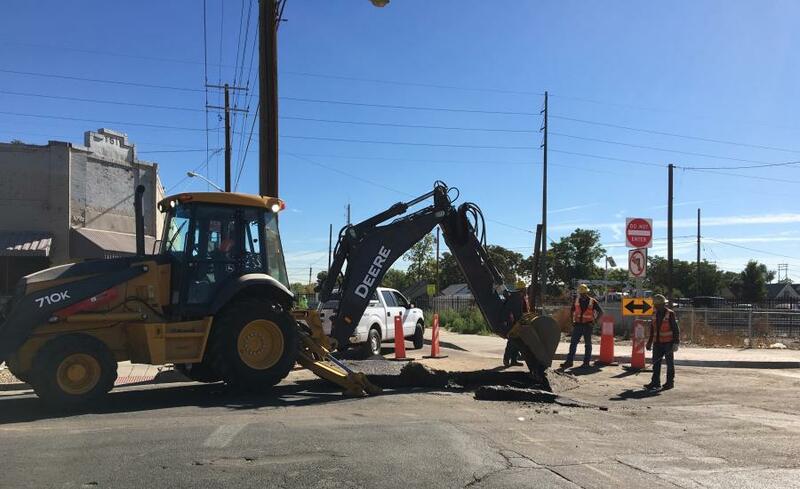 Stapleton Drive North, north of Interstate 70, between Dahlia and Holly streets, has officially shut down for at least six months. The closing is necessary for highway widening activities in preparation for the future express lanes that will be built, and has not resulted in major problems for motorists. "We saw some traffic impacts when the closure initially started, but we've begun to see traffic return to a steady flow," said Sellers. "Business access will be maintained throughout the closure, and a detour route is in place." The goal is to keep traffic moving during construction. Three lanes will remain open in each direction during rush hours, there will be two major traffic switches and phasing ramp and interchange closures to reduce traveler impacts. CDOT also has partnered with Northeast Transportation Connections to provide programs and incentives to encourage carpooling and transit use. Central 70 construction manager Jennifer Nielson said one of the biggest challenges of the project is building next to a school and established neighborhood. 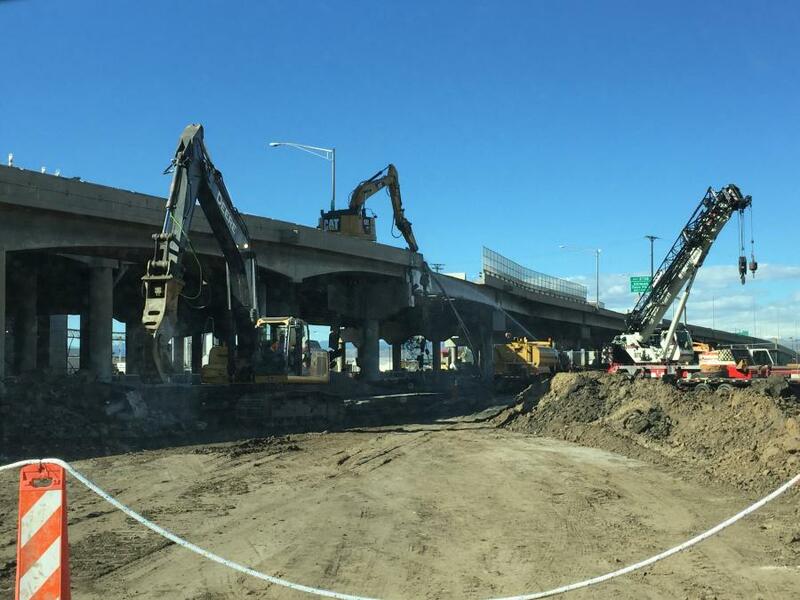 Removing a viaduct while maintaining traffic flow is another concern, along with rebuilding a busy highway, maintaining access to businesses during construction and dealing with three separate railroad locations. "Right now, we're conducting various utility relocations, reconstructing the I-70/Brighton Interchange, widening the central segment of I-70, doing bridge work on I-70/Peoria Street and constructing the new I-270 flyover adjacent to the existing structure." 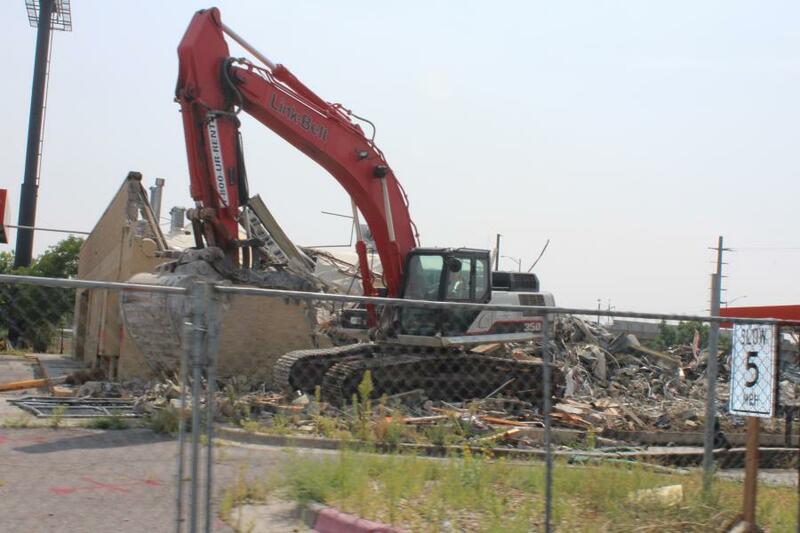 Demolition and clearing are required in order to widen I-70 and relocate 46th Avenue. The contractor also has performed soil characterization samples, in order to prepare and plan ahead for the excavation work and dirt moving. This will provide efficiency in handling, reducing emissions from multiple moves, as well as efficiencies in planning ahead in areas of the project that need the dirt, and being able to haul it where it is needed most," said Nielson. Approximately 1 million cu. yds. will be moved during construction of the project, which is slated for completion in 2022. Work began in August 2018, with Kiewit Meridiam Partners serving as the contractor. Reconstructing the 10-mi. stretch of I-70 between Brighton Boulevard and Chambers Road involves widening the highway to the north and south sides, while traffic is maintained in the existing configuration. This will allow for traffic to move out to those widened sections, while the middle portions of the highway are reconstructed. The project calls for moving the traffic into the final configuration, with one express lane added in each direction. According to CDOT's website, once crews add the lanes on I-70, drivers can either travel the express lane in exchange for a toll, or use one of the three to four general-purpose lanes for free. Carpoolers and motorcyclists can ride the express lane at no charge. Next year, crews will begin removing the 55-year-old viaduct in segments. Officials are currently in the planning process to determine how the viaduct will be taken out. As for lowering the interstate between Brighton and Colorado boulevards, I-70 will remain on its current alignment until the lowered section is ready for traffic. The lowered section will be built just north of the current alignment, so that excavation and other work can take place without disrupting I-70 traffic. The four-acre park placed over a portion of the depressed interstate is considered the cornerstone of the project. "The park will serve as a physical and visible reconnection of the neighborhoods on the north and south sides of the interstate," said Nielson. "We hope it's been designed in such a way that the park will become a community gathering place that you won't even realize is above an interstate." Excavators, drilling rigs, cranes, pile driving machines, pavers, pump trucks, loaders and trucks will be required during construction, along with small, hand-held tools for framing and falsework. Embankment dirt material, concrete, steel, asphalt and plastic also will be used. As for setbacks so far, "We worked through a few minor hiccups at the start of construction," said Nielson. 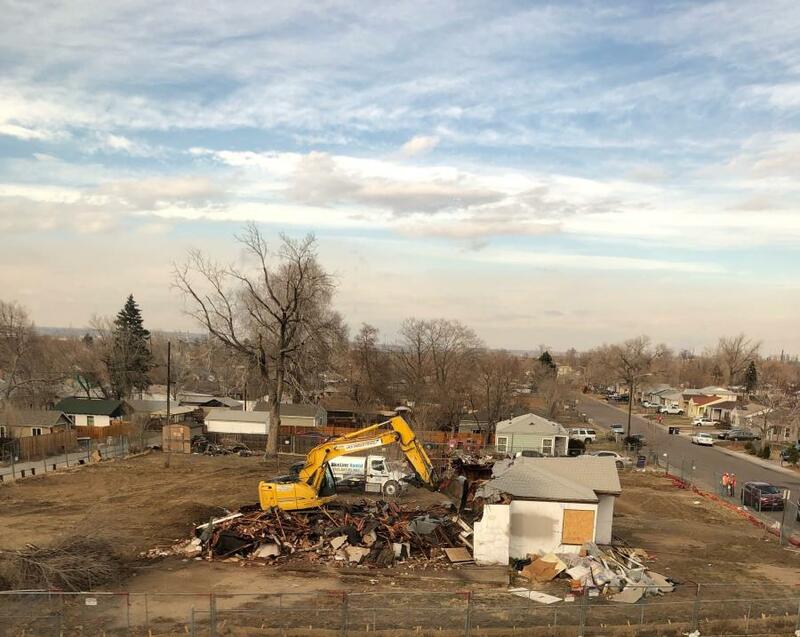 "For example, we found some of the old Stapleton Airport runways that were buried, but nothing completely unexpected. "The weather has definitely slowed down production, considering we've been experiencing snow storms each week, but it's been accounted for in the overall schedule, and won't affect the completion of the project." CDOT has taken steps to reduce noise and dust in the area. Night work must stay under 75 decibels, based on an hourly average. Work may occur from Monday through Friday from 9 p.m. to 7 a.m., and Saturday and Sunday from 5 p.m. to 8 a.m.
General construction may not occur in the same residential area for more than five consecutive nights in a seven-day period. Project sound barriers also are being installed near the CDOT property line in residential areas. When major activities are scheduled where noise levels are expected to exceed the variance levels, such as bridge demolition, hotel vouchers will be offered. 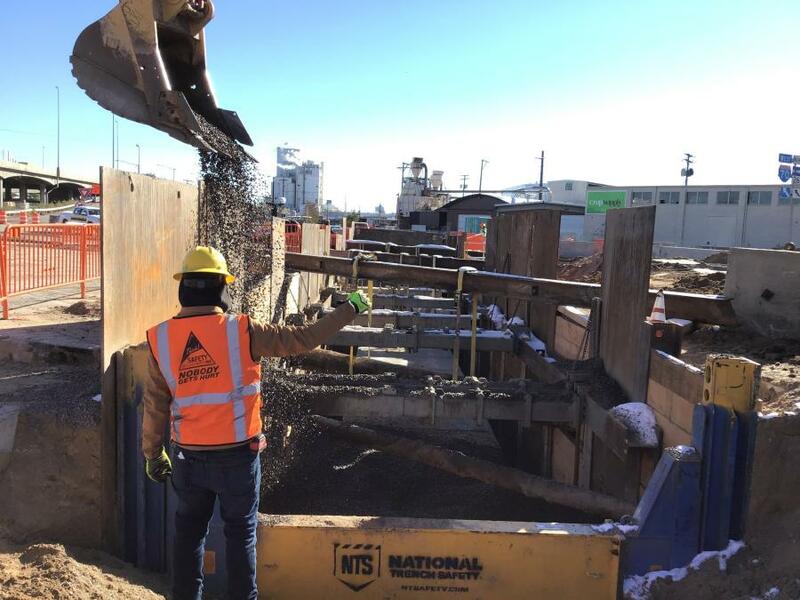 "The Central 70 team is committed to being a good community partner, and will closely monitor noise to ensure requirements are being met," said Nielson, adding that there are four air quality monitors installed adjacent to the project to monitor PM10 during construction. 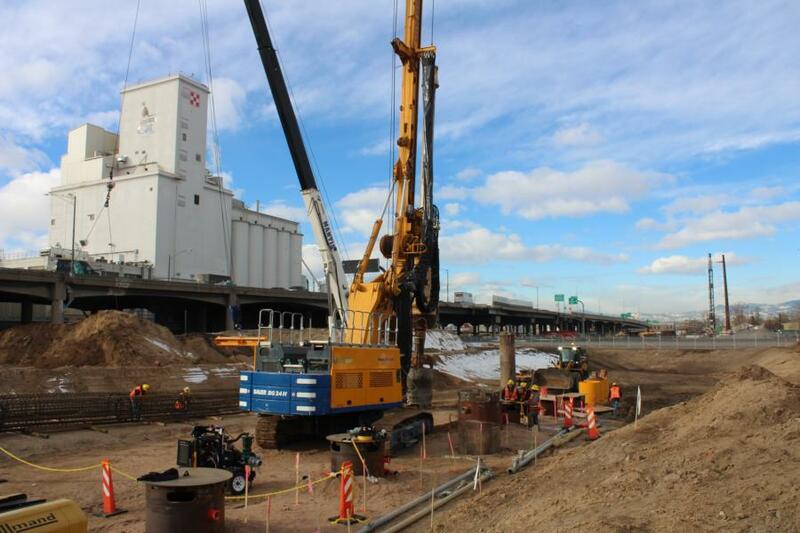 "The monitors are set to send an alert to both CDOT and Kiewit if PM10 levels start to rise. This allows the teams to identify the dust-causing operation and implement additional dust mitigation measures prior to the PM10 levels exceeding regulations." Said Nielson, "This project is really unprecedented in the state of Colorado. It's an honor to work with such a sophisticated department team and contractor, who all have the community and the traveling public's best interests in mind."